We are the sum of many parts. We all have a part of us that wants us to stay stuck and safe, and the part of us that wants the best for us. In the Freedom Program, we explore your ‘current’ self, and your ‘future’ self. Your current self is the version of you, as you are right now. The women on my freedom program typically describe their current self as feeling stuck, frustrated, heavy, embarrassed and full of feelings of unworthiness. This is the version of us that is often engaging in a lot of emotional eating. When we see life out of the lens of our current self, we often can think it’s all too hard, we question why bother changing? What’s the point in eating well today, it won’t matter anyway etc. You get the gist right?! Spending 100% of our time as our current self, can keep us caught up in the negative food/self hatred cycle. And as you know, once you are in this negative cycle, you get stuck in a rut and change seems so difficult and like a lot hard work! A key way to shift out of this rut, is to step into your future self. This is why I have dedicated a full module (and the first module) in my freedom program. We start with the end in mind. Being your future self as much of the time as possible, is the end goal. When you connect with your future self, you are behaving LIKE the person you want to be. This is how we build up our confidence, not waiting until we lose weight to feel confident. This is such a massive shift. No longer do you need to wait until you lose the 5kg, 10kg, 20kg or 40kg to behave like the person that you want to be. You can start this today, and it’s so empowering!! Your life no longer needs to be on hold, and you no longer need to miss out on living a rich, meaningful and fulfilled life. Try meeting your future self, what might she be wearing? How does she walk and carry herself? How does she feel? How does she eat? The more you can keep connecting in with your future self, it will really shift how you feel about yourself, which can influence the choices and decisions you make (especially around eating). 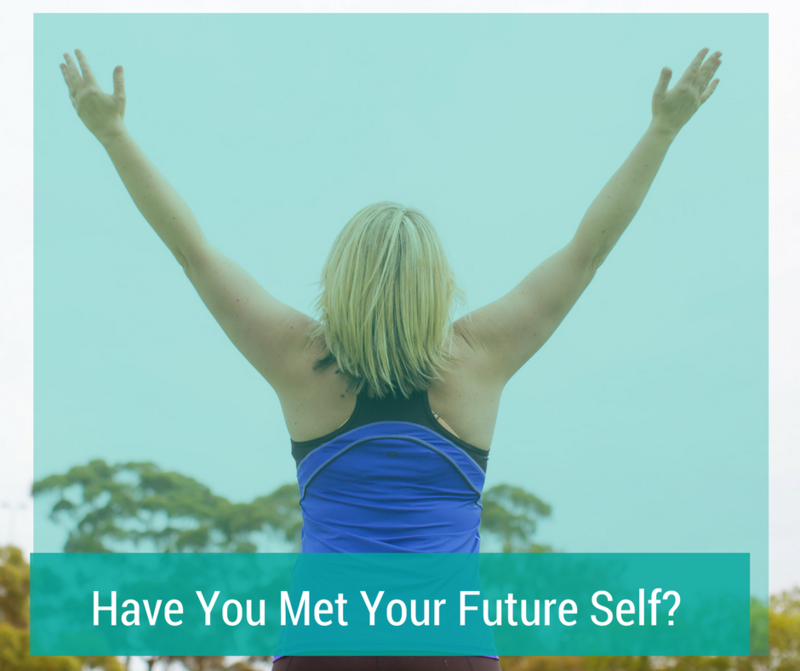 Whenever you feel stuck or in a rut, ask yourself, what would my future self do?